Make Money First, Pay Us Later..!!! OPEC’s strong production cutbacks will provide downside pressure on oil inventories creating tightness in the oil market. Precious metals closed the week with negative gains after the US reported strong economic data leading to a strong dollar. Gold prices fell 1.4 percent and silver prices lost 2.3 percent last week. Base metals complex finished the week on a positive note with the lead leading with 4 percent during the week. Metal prices traded higher as the supply tightness supported most of the metal prices. Energy prices too joined the rally with crude oil and natural gas both gaining by 0.3 percent and 2.95 percent, respectively. The markets remained optimistic on the expectation of trade deal between US-China and with the US Fed being patient over further rate hikes supported the dollar-priced commodities. 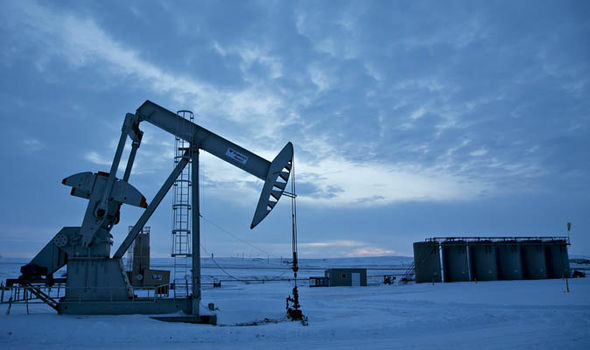 Oil market remained stable on supporting fundamental and lower inventories. 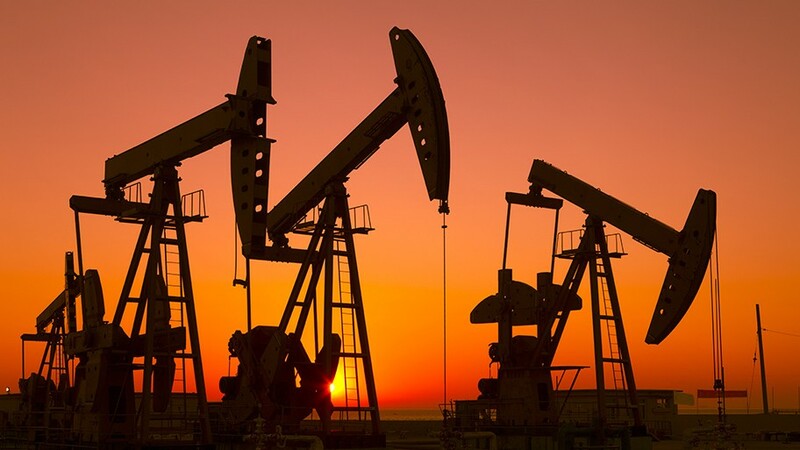 Oil prices started the year with strong gains showing 17 percent upside in January followed by 6 percent gains in February 2019. The upside in prices has been supported with OPEC maintaining its targeted oil production curbs. Due to this, the global oil market is likely to shift towards being by balanced by the second half of 2019. Saudi Arabia, one of the world's largest oil producers, exceeded its targeted oil output cuts stating firmly to achieve its objective. Furthermore, US oil sanctions on Iran and Venezuela is likely to lower its oil exports leading to lower oil supply. Also, the falling oil exports from Saudi Arabia to the United States are leading to higher crude oil inventory withdrawals in the United States. OPEC’s strong production cutbacks will provide downside pressure on oil inventories creating tightness in the oil market. There may be a series of rangebound movement in oil prices on account of slowdown in the global economy. However, if the trade agreement is signed we might see strong upside in Nymex crude oil prices towards $63-65 a barrel by the second quarter of 2019. 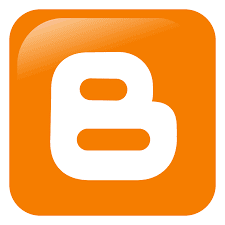 Disclaimer:- The views and investment tips expressed by investment experts are their own. Ripples Advisory advises users to check with certified experts before taking any investment decisions. There’s some serious money heading to Chinese stocks, already the world’s best performing equity market this year. After MSCI Inc. announced Thursday that it would boost the weighting of China’s onshore shares in its emerging market index, more than $46 billion is poised to pour in from funds that track the gauge, according to Bloomberg estimates. Chinese equities climbed to the highest since June on Friday, leaving them up 20 percent this year after gains spurred by speculation the government will take steps to bolster the economy. Large benchmarks wield an increasing amount of power over investors’ dollars as passive, index-tracking products such as exchange-traded funds gain in popularity. 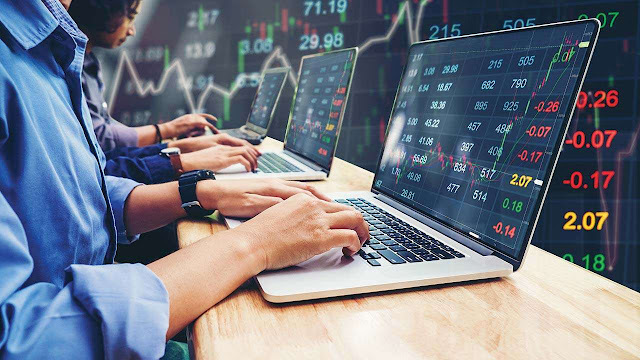 More than $1.8 trillion of investments followed MSCI’s emerging-markets index as of June, but Goldman Sachs Group Inc. estimates that $70 billion could ultimately flow into China as active managers and other gauges follow MSCI’s lead on asset allocation. China-focused ETFs listed in the U.S. jumped Friday, with the Xtrackers Harvest CSI 300 China A-Shares ETF adding 2.4 percent as of 11:55 a.m. in New York. The fund absorbed almost $200 million in inflows last month, the most since August. 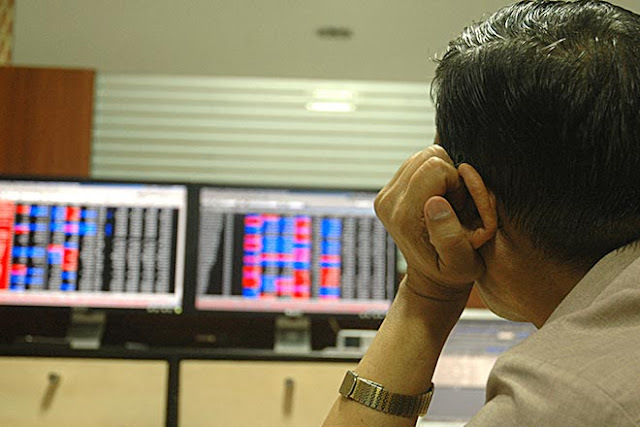 But while Chinese stocks rallied, Philippine equities slipped. Markets in southeast Asia could lose out amid the greater allocation to China, according to Morgan Stanley. MSCI will increase China’s weighting to 3.3 percent from 0.7 percent in three steps between May and November, the indexer said Thursday. And while that’s a big gain, if the emerging-market gauge was to go by market-capitalization alone, Chinese stocks would account for more than 40 percent. MSCI Chief Executive Officer Henry Fernandez said the nation could win a greater allocation if the economy continues to open up to the outside world. Time value has one basic characteristic that it is ever depreciating. Meaning comes what may, a part of premium would reduce everyday attributed by the time value decay. It makes sense every once in a while, to go back to basics to sharpen the trading skills. We will make that attempt today by revisiting the element of time value in the options. As we all know, besides the complex math there is a rather simple bifurcation of option premium. Where intrinsic value denotes an amount of money already built in the option price. All the lower calls/higher puts give an option to buy lower and sell higher. The amount by which they give an option to buy lower/sell higher as against the underlying price is called intrinsic value. Example: 10500 Call @ 350 with the underlying index trading at 10800 is holding an intrinsic value of 300. Now the time value is nothing but premium – Intrinsic Value i.e. 350 -300 = 50. For obvious reasons intrinsic value prevails only in lower calls & higher puts, time value is prevalent across the strikes. Now this time value has one basic characteristic that it is ever depreciating. Meaning comes what may, a part of premium would reduce everyday attributed by the time value decay. We will try and analyse the decay a little further and conclude with the action plan to deal with it effectively so that it does not disturb our profitability while trading direction. Suppose 10,000 strike call is trading at 230 with 20 days to expiry, the following chart will explain the daily decay in time value given an underlying price and Rik remains constant in the market. Note: Every reading denotes an amount of value in premium that will be lost over a day, keeping other things constant. Please note the negative value of decay with 19 days to expiry & just 1 day to expiry. Observation: Time value decay increases with each passing day and is highest close to expiry. While this plan lays out the rule of thumb, in practice I would like to share my choices where for the same trade of a 4 -5 session horizon 1st week of expiry, I prefer trading with single option. The second and third week though advocates trading the same horizon with a directional view using spreads meaning buy one call/put and sell a higher call/lower put at the same time. This would restrict the profits at the sold strike level & compromise the profit in between but eventually turns out to be more effective than single bought option. Lastly, for the week of expiry, I do use ratios by buying a call/put and selling 2 higher calls/lower puts. 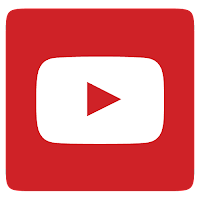 But, be careful in strike selection and maintain a distance between strikes bought & sold as there is a possibility of losing a lot if the stock moves beyond target too fast. 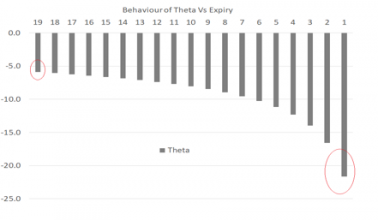 Thus, appreciating the difference in behaviour of time value across expiry and modifying the option trade helps optimising pay-off from option trading. The Dow Jones Industrial Average rose 110.32 points, or 0.43 percent, to 26,026.32, the S&P 500 gained 19.2 points, or 0.69 percent, to 2,803.69 and the Nasdaq Composite added 62.82 points, or 0.83 percent, to 7,595.35. The S&P 500 and the Dow Jones Industrial Average snapped a three-day run of losses on Friday as optimism about the prospects for a US-China trade agreement countered downbeat US and China manufacturing data. The Nasdaq meanwhile marked its longest streak of weekly gains since late 1999. Following President Donald Trump’s announcement last weekend of a delay in higher tariffs on Chinese imports, Bloomberg reported late Thursday that a summit between Trump and his Chinese counterpart Xi Jinping to sign a final trade deal could happen as soon as mid-March. “The optimism over trade resolution is outweighing the weakening economic data,” said Ryan Detrick, senior market strategist at LPL Financial in Charlotte, North Carolina. ISM data also showed US manufacturing activity for February dropped to its lowest since November 2016, and the University of Michigan survey showed consumer sentiment fell short of expectations in the month. Detrick said that while the data was weak investors hoped a US-China trade deal would improve global growth prospects. Of the 11 major S&P 500 sectors, eight were gainers on the day. The healthcare sector rose 1.4 percent, providing the biggest boost and supported by gains in companies including health insurer UnitedHealth Group which bounced back after falling for much of the week. Foot Locker shares rose 5.9 percent after the retailer beat quarterly same-store sales estimates and helped drive a 1.9 percent gain in shares of Nike Inc, the second biggest boost to the sector. Gap Inc surged 16 percent, making it the biggest percentage gainer in the S&P, after it said it would separate its better-performing Old Navy brand and close about 230 Gap stores. A US Commerce Department report showed inflation pressures remaining tame, which along with slowing domestic and global economic growth, gave more credence to the Federal Reserve’s “patient” stance toward raising interest rates further this year. 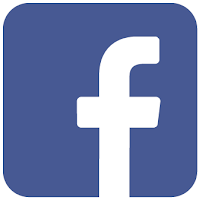 Volume on US exchanges was 7.95 billion shares, compared with the 7.27 billion average for the last 20 trading days. Globally, progress on US-China trade war, crude oil and currency movement would be actively tracked by the investors. Indian market witnessed a highly volatile trading week led by a series of domestic and global events. Firstly, the benchmark indices started the week on a strong note led by positive developments between US-China. However, the rally was short lived as geo-political tensions between India and Pakistan took centre stage. 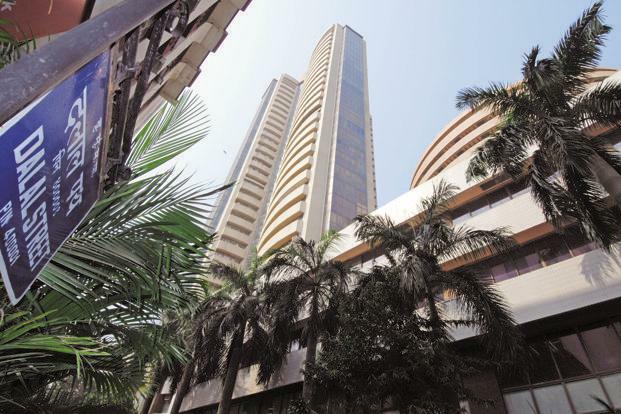 Signs of de-escalation of tensions and supportive global cues led to a healthy rally in Indian market on the last day of the week, thus helping the Nifty and Sensex to close with gains of 0.7 percent and 0.5 percent. Despite huge volatility, broader markets outperformed the benchmark as BSE Midcap and Smallcap ended with gains of 2.4 percent and 3.4 percent, respectively. On the sector front, healthy buying was witnessed across all sectors except realty, which ended with losses of 1.2 percent. Amongst the top gainers were sectors like capital goods, metal and healthcare. On the domestic front, Q3FY19 GDP numbers were announced which came in at a 5-quarter low at 6.6 percent as against 7.7 percent in the same quarter last year and 7 percent in the previous quarter. 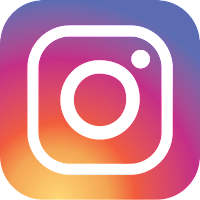 The CSO lowered its growth forecast for FY19 to 7 percent from 7.2 percent earlier. In gross value added (GVA) terms, the economy grew by 6.3 percent in Q3FY19. Amongst the sectoral trends, on a QoQ basis, agriculture slowed to 2.7 percent v/s 4.2 percent, manufacturing grew by 6.7 percent v/s 6.9 percent, construction grew by 9.6 percent v/s 8.5 percent and financial services grew by 7.3 percent v/s 7.2 percent. Meanwhile, on the monsoon front, Skymet, in its preliminary monsoon forecast for 2019, has predicted over 50 percent chances of a normal monsoon. Globally, positive developments between US-China kept the mood upbeat for the global markets. Crude oil prices continued its upward movement mainly led by supply cuts by OPEC members and lower than expected inventory data from the US. Additionally, positive developments on trade talks also supported the price movement. We expect markets to remain volatile in the near term. Signs of de-escalation of tensions between India and Pakistan is encouraging for Indian markets. However, any negative news on this front going forward would keep the markets volatile. Globally, progress on US-China trade war, crude oil and currency movement would be actively tracked by the investors. 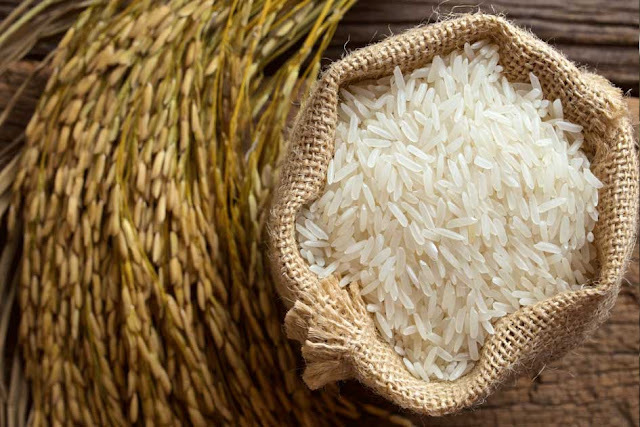 Top Asian rice exporting hubs India and Thailand were hit by slack demand with fresh overseas deals few and far between, while a booming harvest and stronger baht added further pressure on Thai markets. In top exporter India, the benchmark 5 percent broken parboiled variety was quoted around $378-$383 per tonne this week, down from last week's $380-$385 due to a depreciation in the rupee. "Demand is modest. Prices are coming down due to a falling rupee," an exporter based at Kakinada in the southern state of Andhra Pradesh said. The rupee is down about 2 percent versus the dollar this year. Meanwhile, in neighbouring Bangladesh, imports slowed to 137,000 tonnes in July-February due to the imposition of a tax on rice imports in June, food ministry data showed. The south Asian country, which emerged as a major importer in 2017 after floods wrought havoc on local crops, imposed the 28 percent duty to support its farmers after local production revived. In Vietnam, rates for 5 percent broken rice rose to $345 a tonne from $340 last week. "Prices have edged up a bit after the government said it is buying rice from farmers for stockpiling," a trader based in Ho Chi Minh City said. The country's rice exports in January-February were forecast to fall 4.9 percent from a year earlier to 788,000 tonne, the government's General Statistics Office said on Thursday. Revenue from rice exports in the period was expected to drop 17.5 percent to $335 million. February rice exports from Vietnam, the world's third-largest shipper of the grain after Thailand, totalled 350,000 tonnes, worth $140 million, the GSO said. Thailand's benchmark 5 percent broken rice prices marginally narrowed to $383-$398, free on board Bangkok from $383-$405 quoted last week. Fresh supplies of rice entering the market have pushed prices slightly lower and demand remains flat, traders said. "Exporters are selling the rice at a lower price but there are no major deals at the moment that (could) impact prices," a Bangkok-based trader said. While exporters still anticipate large deals from the Philippines, the strength of the local currency against the dollar makes Thai rice export less competitive, traders said. "New supply has helped lower the price but the strong baht and the lack of demand remains two worrying factors for exporters," another Bangkok-based rice trader said. A bumper harvest has led to a crash in turmeric prices in India, the world’s biggest producer and exporter of the bright yellow spice, causing furious farmers to stage protests in key growing regions demanding government help, growers and traders said. 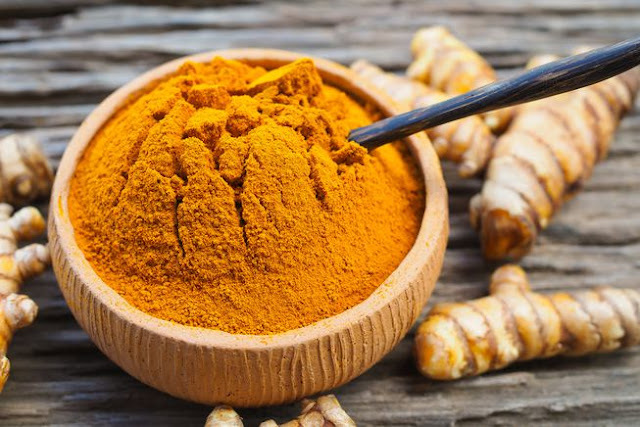 Turmeric prices hovered around 85,000 rupees ($1,200) a tonne in December and started sliding in January, when the new season crop started trickling in, farmers and traders said. Most sugar stocks jumped higher in Friday's session, a day after India's cabinet approved funds to pay interest on loans to the sugar industry. India's cabinet on Thursday approved a plan to spend up to Rs 1,054 crore to pay interest on loans to the sugar industry for a year, in a bid to help sugar mills clear their dues to farmers. 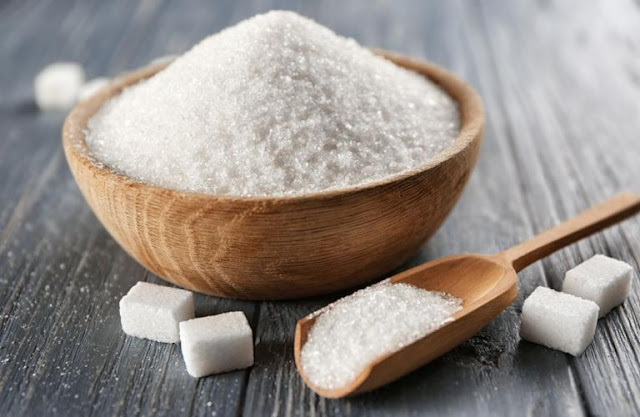 Shares of Dharani Sugars & Chemicals (up 6.75 per cent), Uttam Sugar Mills (up 5.90 per cent) and DCM Shriram Industries (up 5.77 per cent) were the top gainers in the sugar space. Shares of Kesar Enterprise (up 5.63 per cent), Triveni Engineering & Industries (up 5.54 per cent), Dwarikesh Sugar Industries (up 5.53 per cent), Thiru Arooran Sugars (up 4.97 per cent), Parvati Sweetners (up 4.74 per cent), Indian Sucrose (up 4.69 per cent) and Rana Sugars (up 4.41 per cent), too, were trading with healthy gains. The NSE Nifty50 index was trading 51 points up at 10,844 at around 11:18 am. The 30-share BSE Sensex was up 166 points at 36,033 around the same time. Vedanta, IndusInd Bank, Coal India and YES Bank were among the top gainers in the Sensex index. Growth of eight core sectors in India slowed down to 1.8% in January due to fall in output of crude oil, refinery products and electricity, official data showed. Eight infrastructure sectors -- coal, crude oil, natural gas, refinery products, fertilisers, steel, cement and electricity -- had expanded by 6.2% in January 2018. Production of crude oil, refinery products and electricity contracted by 4.3%, 2.6% and 0.4%, respectively, in January. Growth rate of coal and cement sectors slowed to 1.7% and 11% in January as against 3.8% and 19.6% in January 2018, respectively. However, natural gas, fertilisers and steel output grew by 6.2%, 10.5% and 8.2% respectively in the month under review. Sluggish infrastructure sector growth would also have impact on the Index of Industrial Production (IIP) as these segments account for about 41% of the total factory output. Goyal has also agreed to reduce his 51 per cent stake in the airline, said a source. 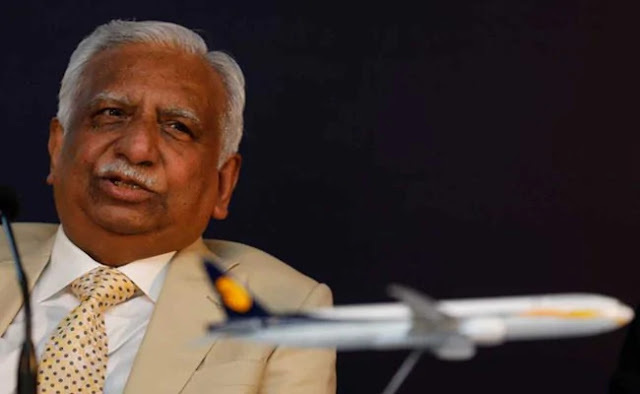 Shares of Jet Airways Ltd jumped as much as 6 per cent on Friday, a day after two sources told Reuters that founder Naresh Goyal had agreed to step down as chairman. Goyal, who founded the full-service carrier 25 years ago, has also agreed to reduce his 51 per cent stake in the airline but would continue to be part of the company in some capacity even after stepping down as chairman, one of the sources said. 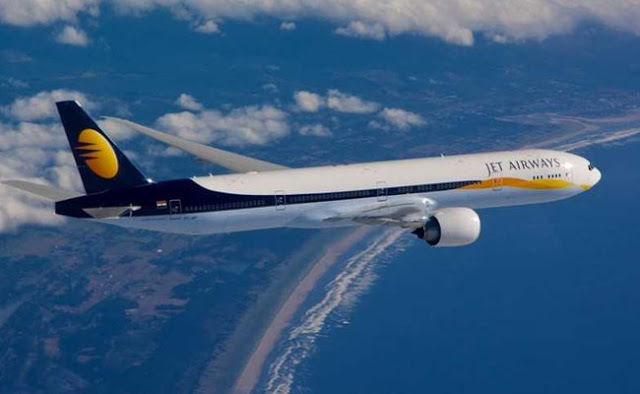 Jet, saddled with over $1 billion debt, had a rough 2018 as competition intensified in the Indian skies, the rupee depreciated and high oil prices squeezed margins. Jet did not respond to an e-mail seeking comments. The company had said last week that its board had approved a rescue deal which will make its lenders, led by State Bank of India (SBI), its largest shareholder. The airline was also forced to ground another six planes on Thursday due to non-payment of dues to lessors, taking the tally to 19 which is about 15 per cent of its fleet. It has a fleet of about 123, mainly Boeing Co planes, including 16-owned aircraft. The stock posted its biggest daily per centage gain since February 15, hitting a high of Rs 237.05. It was last up 4.4 per cent as of 0347 GMT. As of 0323 GMT, spot gold was 0.1 percent higher at $1,313.47 per ounce, after slipping to its lowest since Feb. 15 at $1,311.61 earlier in the session. Gold prices hit a two-week low on Friday as upbeat US economic data boosted the dollar, while mounting concerns over a slowdown in global growth offered support to the safe-haven metal. U.S. gold futures were down 0.1 percent at $1,314.80 per ounce. The dollar, which pulled back from over three-week lows, moved closer to a 10-week high against the yen and was marginally higher against major currencies. The U.S. Commerce Department's report showed a better-than-expected performance in the fourth quarter pushed gross domestic product (GDP) up 2.9 percent for the year, just shy of the 3 percent annual growth target in 2018. "Gold is still fundamentally supported for the longer term despite the bearish pressures we see for now due to slight rise in bond yields and a firm dollar," said Benjamin Lu, an analyst with Singapore-based Phillip Futures. The benchmark 10-year government yield was up 3.1 basis points on Thursday after the U.S. data. Higher yields can translate into more demand for the dollar since the currency is used to buy bonds, a traditional safe haven, eroding bullion's appeal. 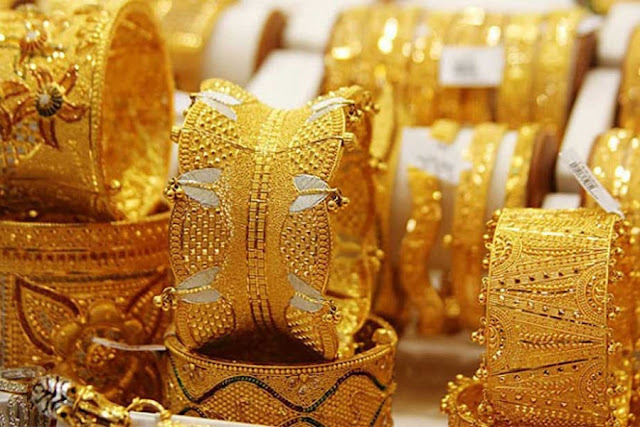 "Asian economic data has weakened significantly and it continues to show that the economy has started to slow," Lu said, adding gold was being supported by broad-based economic weaknesses. Factory activity in China contracted to a three-year low in February as export orders fell at the fastest pace since the global financial crisis. Also, Japanese manufacturing activity contracted in February at the fastest pace in two-and-a-half years as factories cut back output amid shrinking domestic and export orders, a revised survey showed on Friday. Gold has lost the support from $1,320 level, technically and has not got enough boost from Federal Reserve Chairman Jerome Powell's testimony and negative news on China-U.S. trade, Hong Kong-based bullion dealer Wing Fung said in a note. "Concerning the slowdown of global economic growth, we are not pessimistic about gold," Wing Fung said, adding the metal has a strong support at $1,300 level. Reflecting a drop in bullion prices, holdings of SPDR Gold Trust, the world's largest gold-backed exchange-traded fund, fell 0.52 percent on Thursday. Gold may break a support at $1,311 per ounce and fall to the next support at $1,299, according to Reuters analyst Wang Tao. Among the other precious metals, palladium gained 0.3 percent to $1,548.27 per ounce, after retreating from its all-time peak of 1,565.09 scaled earlier in the week. Platinum was up 0.3 percent at $872.16 per ounce, but was trading below its more than three-month high of $876 hit in the previous session. Spot silver was flat at $15.60 per ounce. India's diesel consumption, for instance, is expected to rise to a record this year amid a strong expansion of its heavy duty vehicles amid economic growth of around 7 percent. The rupee recovered by 52 paise to close at 70.72 against the dollar on Thursday as investors wagered on de-escalation of tensions between India and Pakistan. A volatile day for Indian markets as both Sensex and Nifty swung in both direction and closed below their respective support levels. The S&P BSE Sensex gave up 36,000 while the Nifty50 closed below 10800 towards the close of the trade. The Nifty50 index closed 0.35 percent lower in February series with rollovers seen at 60 percent. The Nifty Future 3-month average rollover stands at 68 percent, data showed. The good news is that foreign institutional investors (FII’s) net cash flow remained positive for February which was negative in 7 out of the last 12 months. 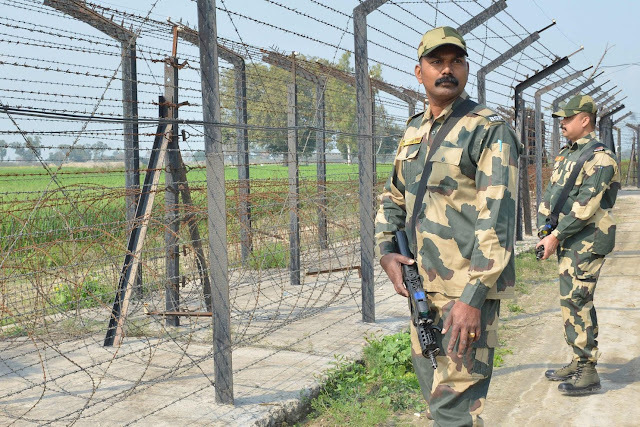 As move into March series, Indo-Pak tension is likely to keep the market volatile. Indian market started the day on a positive note despite negative global cues but shed most of its gains in the last hour of the trading sessions. The final tally on D-Street – the S&P BSE Sensex closed 37.99 points lower at 35,867 while the Nifty50 ended at 10,792, down 14 points. On the institutional front, FPIs were net buyers in Indian markets for Rs 3210 crore, compared to DIIs which were net sellers to the tune of Rs 5240 crore, provisional data showed. The Indian economy grew 6.6 percent in October-December, data released by the Central Statistics Office (CSO) on February 28 showed. The moderation is in line with an expected slowdown in the second half of the financial year. "GDP growth rates for Q1 and Q2 of 2018-19 at Constant Prices are 8.0 percent and 7.0 percent respectively," CSO said. According to the statement, GDP growth during 2018-19 is estimated at 7 percent as compared to 7.2 percent in 2017-18. India VIX fell by 3.29 percent to 18.27 levels. MSCI’s broadest index of Asia-Pacific shares outside Japan was up less than 0.1 percent in early trade. 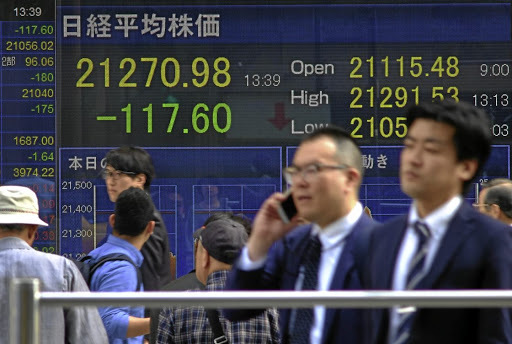 Japan’s Nikkei 225 gained 0.8 percent, helped by the weaker yen, while Australian shares added 0.6. percent. Asian shares inched higher on Friday with broader gains capped by investor caution as concerns about China’s economy and global trade weighed on sentiment while stronger-than-expected US GDP data pushed the dollar up. MSCI’s broadest index of Asia-Pacific shares outside Japan was up less than 0.1 percent in early trade. Japan’s Nikkei 225 gained 0.8 percent, helped by the weaker yen, while Australian shares added 0.6. percent. Gains in Chinese shares may be further boosted after global index provider MSCI said it would quadruple the weighting of mainland shares in its global benchmarks later this year, potentially drawing more than $80 billion of fresh foreign inflows to the world’s second-biggest economy. US President Donald Trump on Thursday fueled concerns over trade talks between the United States and China, warning that he could walk away from a trade deal with China if it were not good enough. Mixed messages on trade combined with the collapse of the summit between US President Donald Trump and North Korean leader Kim Jong Un on denuclearization, and data from China showing slowing factory activity to pressure US stocks. 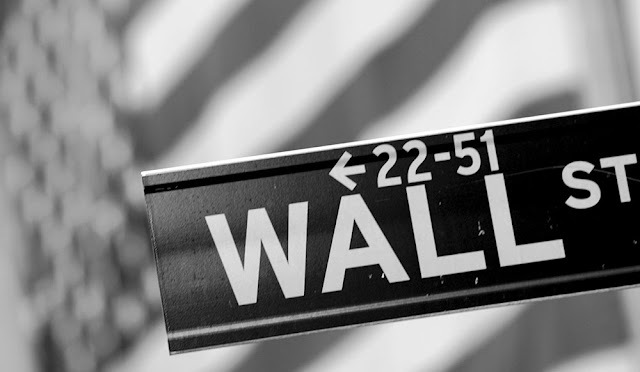 Better-than-expected US economic growth in the fourth quarter was not enough to lift Wall Street on Thursday. Gross domestic product rose 2.9 percent for the year, just shy of the 3 percent goal set by the Trump administration. 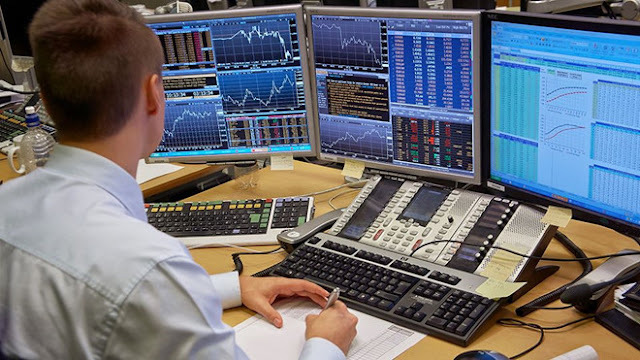 The Dow Jones Industrial Average fell 0.27 percent to 25,916 points, the S&P 500 lost 0.28 percent to 2,784.49 and the Nasdaq dropped 0.29 percent to 7,532.53. The US GDP data, however, did help lift yields on benchmark 10-year Treasury notes to 2.7222 percent on Friday from a US close of 2.711 percent on Thursday. Dallas Federal Reserve Bank President Robert Kaplan said on Thursday that it will take time to see how much the US economy is slowing, supporting views of the Fed’s rate-hike holiday at least through to June. Nevertheless, the two-year yield, sensitive to expectations of higher Fed fund rates, ticked up to 2.5182 percent from a US close of 2.512 percent. The dollar also inched higher on the US data, adding 0.06 percent against the yen to 111.44. The greenback hit its highest point this year against the Japanese currency on Thursday. In commodity markets, US crude crept up 0.05 percent at $57.25 a barrel, and spot gold inched up to$1,313.09 per ounce.